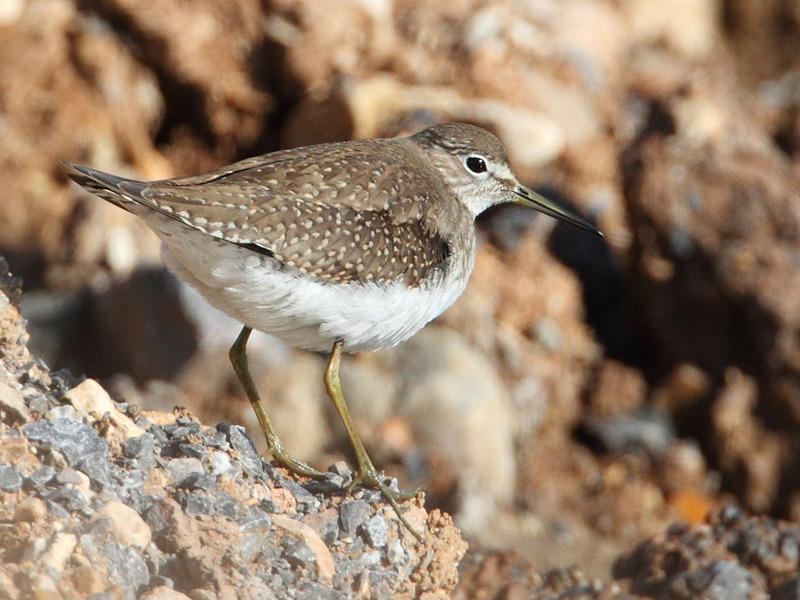 BIRDMAD: Solitary sandpiper - an American vagrant. 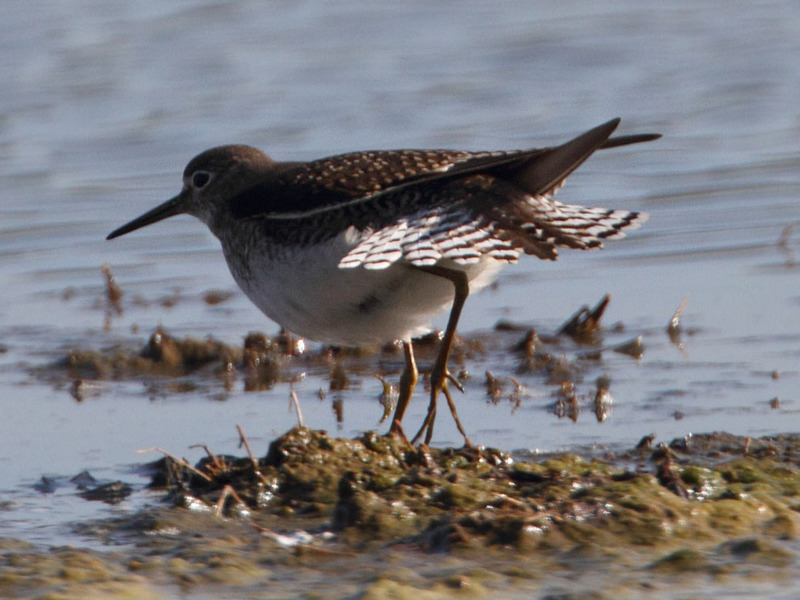 Solitary sandpiper - an American vagrant. Yesterday, I went further than I normally like to twitch for the solitary sandpiper at Black Hole Marsh, Seaton in Devon. I started off going to Chew Valley Lake for the ferruginous ducks but, when news came in that the sandpiper was still there, I re-set the satnav for Devon, my home county!! On arrival the bird was fairly close; 40 metres but it then flew closer, under the bank where no-one could see it. Eventually it moved away as it fed and good views were had by all. It's very similar to a green sandpiper but has a dark rump in flight (green sandpiper is white), is slightly smaller and more delicately built and has narrower wings. The tail is thinner, too. After watching it for 45 mins I headed off to Chew Valley where I got distant views of the ferruginous duck about 500 metres away in a flock of about 1000+ tufted ducks and pochards. Norfolk - missed one got one! !